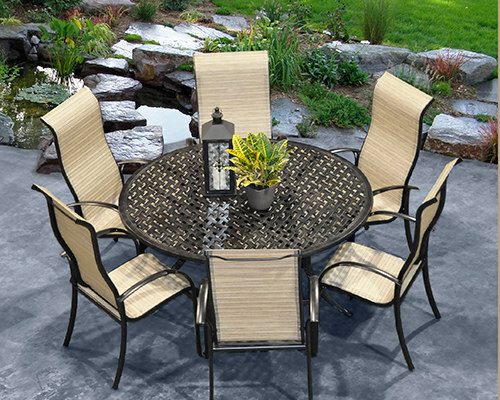 The Carlo Collection has a comfortable and traditional style that allows you to create a perfect setting for outdoor dining or just sitting and relaxing with friends and family. It’s virtually maintenance-free and the fabric is mildew- and- fade-resistant and specially treated to resist stains, wear and tear, and the sun's harmful rays. The Carlo collection coordinates with a variety of table sizes and shapes to help you create the ideal combination to suit your lifestyle and patio or deck area.